Ultimate Currency Exchange is a Canadian company that provides foreign exchange services at our four branches; three in Ottawa and one in Toronto, and also accepts online orders to ship foreign currency anywhere in Canada. UCE buys and sells more than ninety foreign currencies with no commission fees. UCE's exchange rates are always better than Canadian banks and competes with the other exchange bureaus. Ultimate Currency Exchange is a "Money Service Business" registered with FINTRAC (Financial Transactions and Reports Analysis Centre of Canada). It is committed to ensuring that all of its operations are in full compliance with the Proceeds of Crime (Money Laundering) and Terrorist Financing Act of Canada and follows all related Canadian regulations and guidelines. Ultimate Currency Exchange is an active member of Canadian Money Service Businesses Association , an association of the organizations who are governed by payments compliance regulations within Canada. 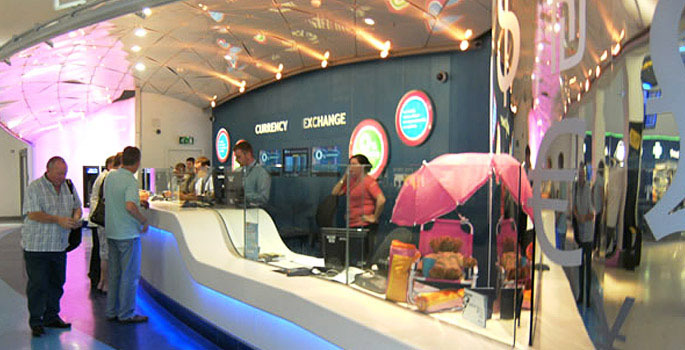 Ultimate Currency Exchange is accredited by the Better Business Bureauan and has an A+ rating for more information please Click Here . Do not pay unnecessary fees and inflated exchange rates in airports, hotels, and banks. Do not pay the 2.5% fee that most Canadian banks charge when using credit cards overseas. We buy back your unused foreign currency commission-free. For more information please visit our Compliance page. Great offers on foreign currency exchange in Toronto and Ottawa!